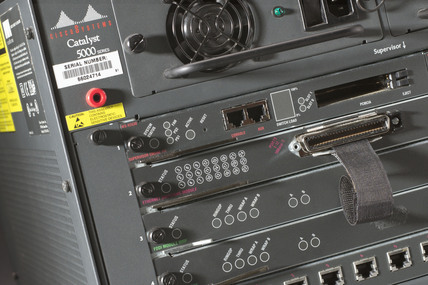 Cisco Catalyst 5000 Switch used by London Internet Exchange (LINX) in 1996. This was the first 100mb capable switch deployed by an Internet exchange anywhere in the world and was installed by the ISP Demon Internet. It was one of the early switches used by LINX to route traffic across UK networks rather than unnecessarily long distances via the USA. It is therefore significant in the development of the Internet and the movement of Internet traffic from a British perspective.